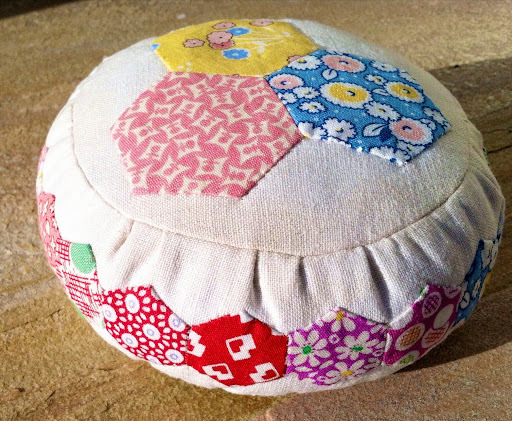 Here is my little pin cushion for the English Paper Pieceing Swap found on Flickr. 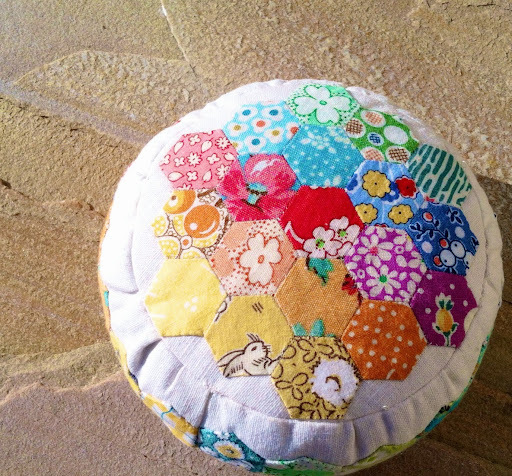 I had lots of fun sewing these little 1/2" hexies. I uses a charm pack and Essex linen to make this baby. It's filled with crushed walnut shells. I bought a small bag and now have enough for 10 more pin cushions!! 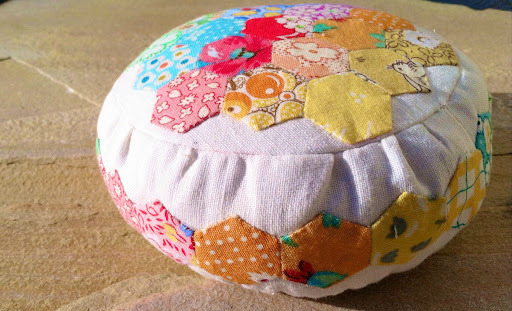 Looks like I will have to come up with some other cushions to design. Working on some string blocks now....pictures to come soon.